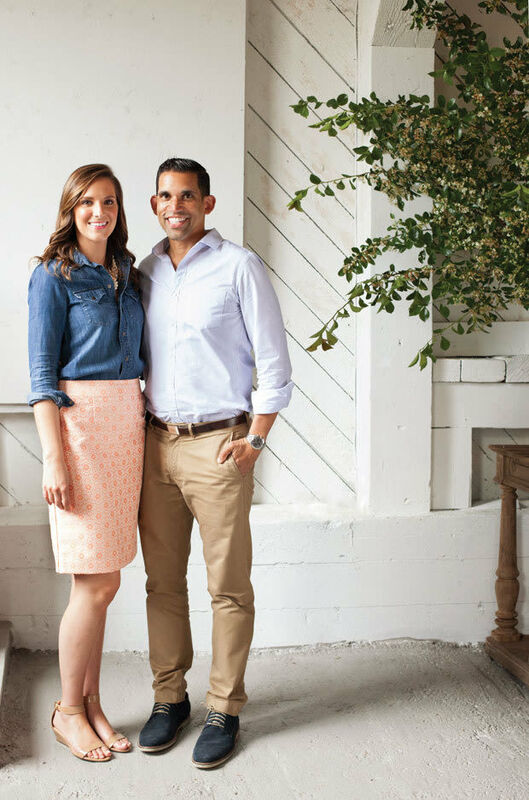 "We like to empower people, and help them realize they can create beautiful things,” says Sinclair and Moore Events’ Jamie Moore of the popular blog she coauthors with her husband, Steve Moore. Beautiful things like petite pistachio macarons and fluffy blueberry pancakes. There’s even a how-to about marrying a wedding planner—but that post is actually about decorating cookies. (They can’t give everything away.) In all seriousness, the Moores are generous as heck with their event know-how, decadent recipes, and décor tips, so we asked them to create a tutorial on our current favorite favor: culinary salt. There’s hardly a fancy pantry boutique or gastropub menu that doesn’t feature some sort of truffled, herbed, smoked, or otherwise gussied-up version of the ever-popular crystals. Point being: gourmet salt is a big trend, and there are local ways to spin it. The Moores used dried orange slices from the beloved Seattle company Simple & Crisp for a fragrant, fruity, and very pretty variation that friends and family can easily take home to flavor future meals. For more inspiration, visit Sugarpill Apothecary on Capitol Hill, where owner Karyn Schwartz makes and stocks her own versions—celery seed, curry, lavender, fennel, and more—as well as cult foodie favorites from Oregon’s Jacobsen Salt Co. The blogging event designers shopped the world-sourced salt options in the bulk section of Big John’s PFI in the International District, choosing chunky, rose-shaded shards of Himalayan pink as their base. Working in batches with a small Cuisinart food processor, they ground up blood orange slices and settled on a mixture of two tablespoons of pulsed fruit per cup of salt, mixed by hand in a bowl, and further blended with a stone mortar and pestle. Simple glass spice containers from Storables or the Container Store were tied with twine and name cards lettered by La Happy’s Sally Waldburger Balt. The wooden spoons were found online. 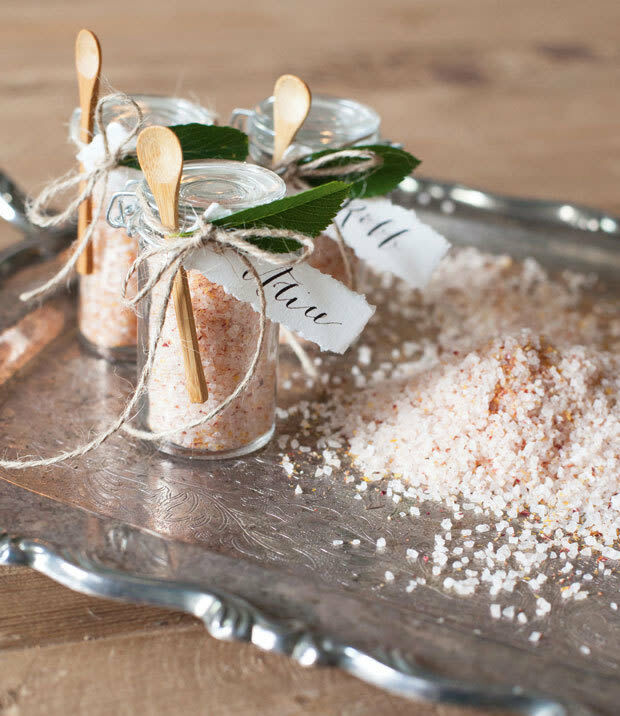 Consider working with your caterer to serve the salts with your reception meal, or to include a recipe with the gift tag. These vessels hold about one-fourth of a cup, so you’d need to make 25 cups per 100 favors. One great thing about this DIY project: you can work ahead. Stored correctly—out of the way of moisture—they’ll wait for months.